The Galaxy Ultimate can be smoothly tilted or lowered hydraulically at infinitely adjustable speeds from horizontal to 70° controlled by foot pedals on both sides of the table. A safety switch prevents the table from accidentally lowering from the hylo position. 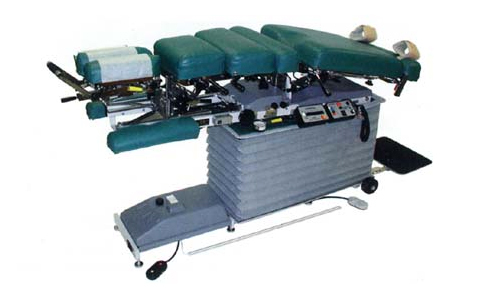 A foot plate automatically comes up to meet the patient’s feet when table begins to lift..